Best overseas manufacturing and logistics, International Import Export logistics, Trade and ontime delivery, customs and logistics. Global export corporation uses International Commercial Terms (Incoterm 2000) developed by International Chamber of Commerce (ICC) to arrange for shipment of product to its customers. Methods such as EXW, FCA, FAS, FOB, CFR, CIF, CPT, CIP, DAF, DES, DEQ, DDU, DDP are used to arrange for shipments. 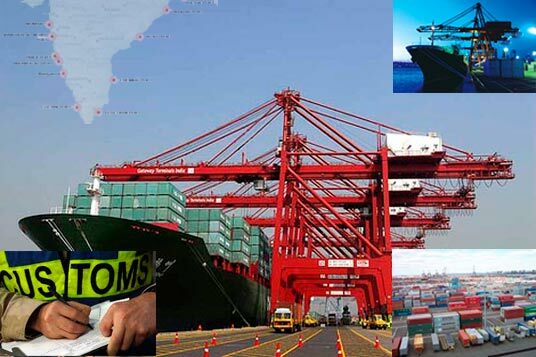 Though this logistical step taken by Global Export corporation in international import and export process seems trivial, in actuality it is a very important and time critical aspect of international import and export business. Many moving parts have to be coordinated in a timely fashion so that the shipment is not delayed in a ship yard or on a vessel. Lead time in international export and import greatly depends on going through this step smoothly. Global Export corporation has years of experience in this area and can manage this step in such a way to minimize the over all product delivery time.